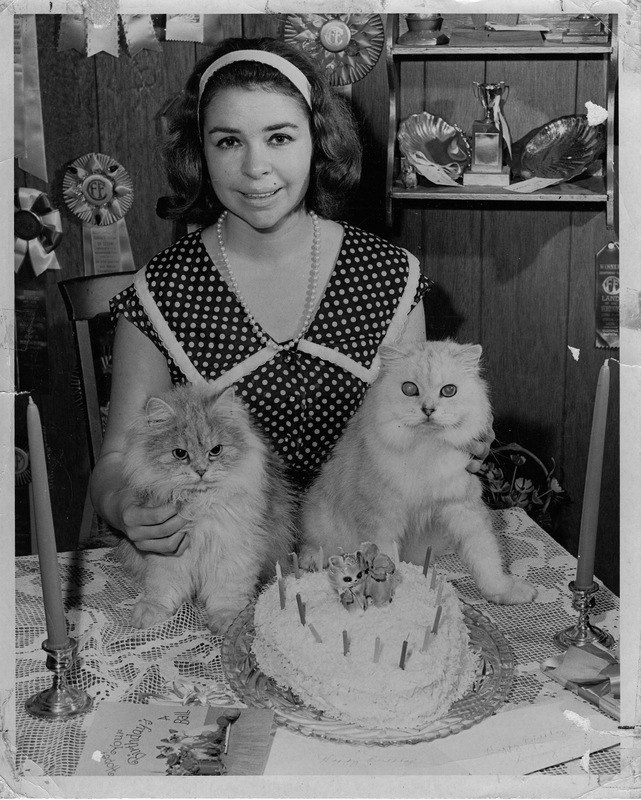 An unidentified cat fancier with two of her prizewinning cats, undated (1960s). Photograph by Mil Fries, San Fernando, Caliifornia. I believe that the cats are Birmans, a breed that had only been introduced to the U.S. in 1959. Notable for their blue eyes and gentle temperament, the most famous Birman these days is Karl Lagerfeld’s cat Choupette, who has been featured in ad campaigns, travels with the fashion designer on his private plane and even has her own book. If these two handsome creatures are Birmans, they would have been quite rare in the 1960s — and worthy of a newspaper “human interest” feature. THIS IS SO INTERESTING….HAVE YOU ENOUGHOF THESE TO MAKE A BOOK?